Alternative currencies for e-commerce have been attempted many times, but never one quite like Bitcoin. Its creator, Satoshi Nakamoto, has dubbed it a "cryptocurrency," because it relies on public/private key cryptography to facilitate electronic trading in a completely anonymous, secure, peer-to-peer fashion. Unlike past attempts at digital currency, there are no dedicated servers managing Bitcoin transactions and no central authority. 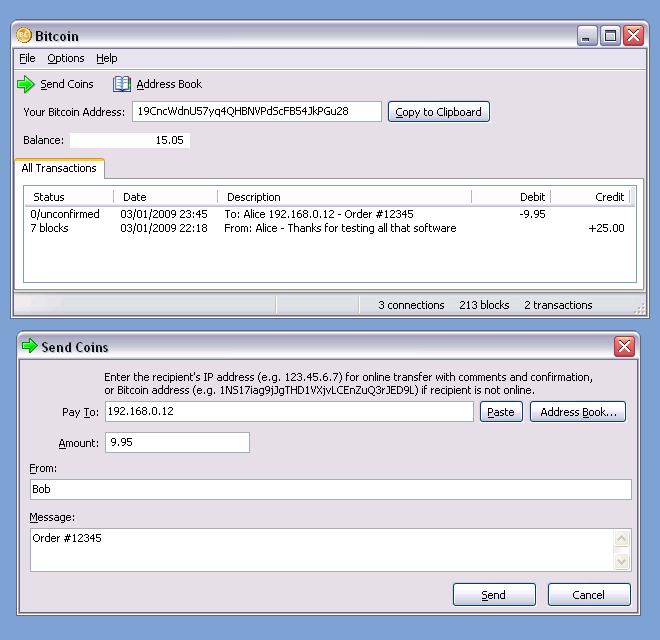 All of the "banking" functions are distributed across individual nodes on the Bitcoin peer-to-peer network. That presents an obvious problem. How to control inflation when there's no one to manage the supply of currency? The answer is that Bitcoin is backed by a kind of digital "gold standard." Bitcoins are created only when a user contributes something of material value: specifically, CPU cycles, which are used to solve calculations for grid computing projects. The more cycles you contribute, the fatter your Bitcoin wallet grows -- though there are throttles in place to prevent users with fast processors from generating wealth too quickly. By far the most efficient way to accumulate Bitcoins, however, is to exchange them with other users for goods and services, which might be anything from virtual items in an online game to a real-life used car. The advantage over existing payment systems is that because Bitcoin is distributed and decentralized, no one can veto your trades and there's no middleman to skim transaction fees. Users don't even need to disclose their real-life identities to complete Bitcoin transactions. In that sense, it's not just the Bitcoin software that's open source -- so is the currency.